Today I’m talking all about my current essential items that help make living a zero waste life a breeze. I specify that these are my current items because the things I use on a regular basis change as I progress on this journey, and I am sure that in a few months I will need to come out with an updated list. If you don’t feel like watching a video, feel free to scroll past it and check out the written list down below. 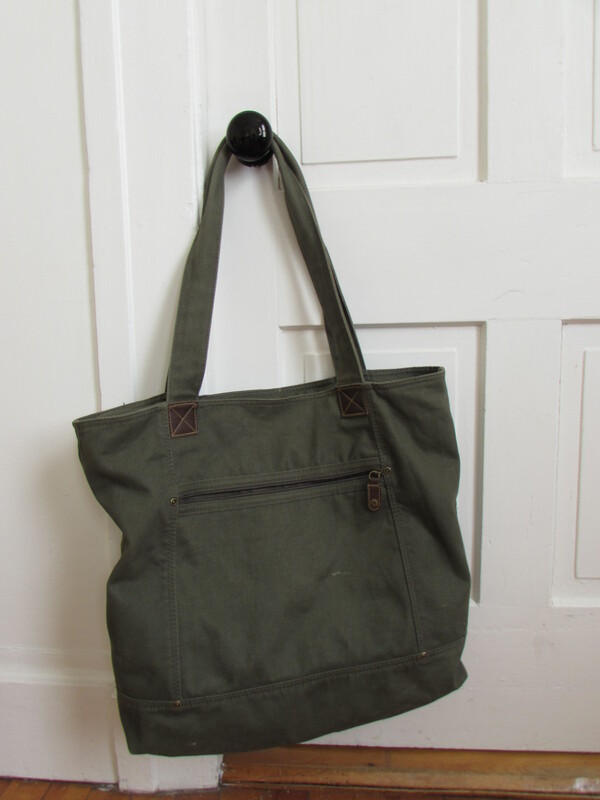 I own lots of bags, but my absolute favorite is this large canvas tote bag that I bought for $6 at a second hand store a year ago. This thing is large enough that I take it grocery shopping and with me when I travel, but convenient and comfortable enough that I can carry it around as an everyday bag too. I use 2 of this size of bag when I go buy my groceries every week, and it works perfectly. Along with a large tote bag, I like to carry around a few smaller bags that come in handy when I’m picking up a quick snack on the go or shopping in the bulk section of the grocery store. 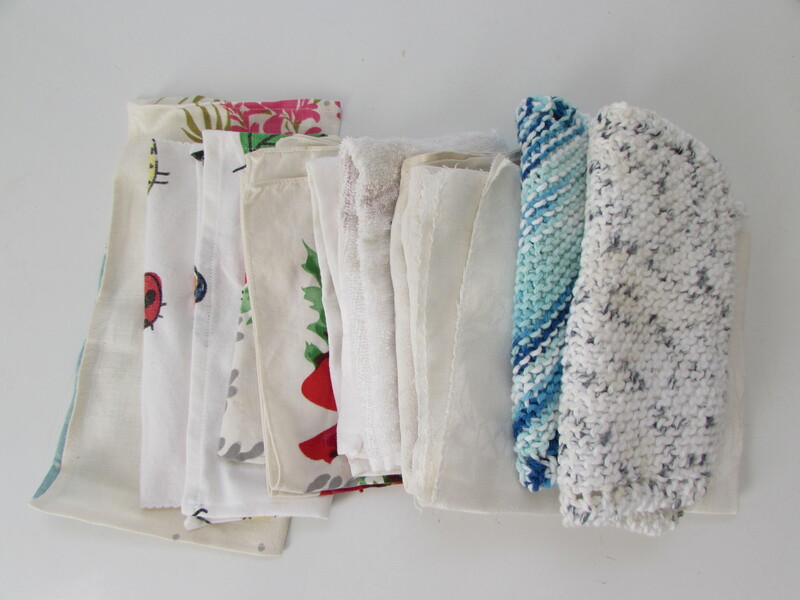 Most of my small bags are either reused or handmade (check out how I sew my bags here), but I also have a few that I bought here. 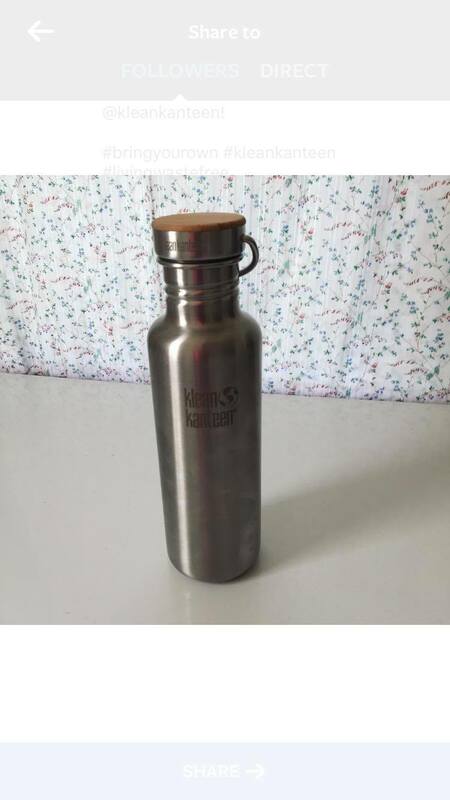 My reusable water bottle has saved me from countless single use plastic bottles. 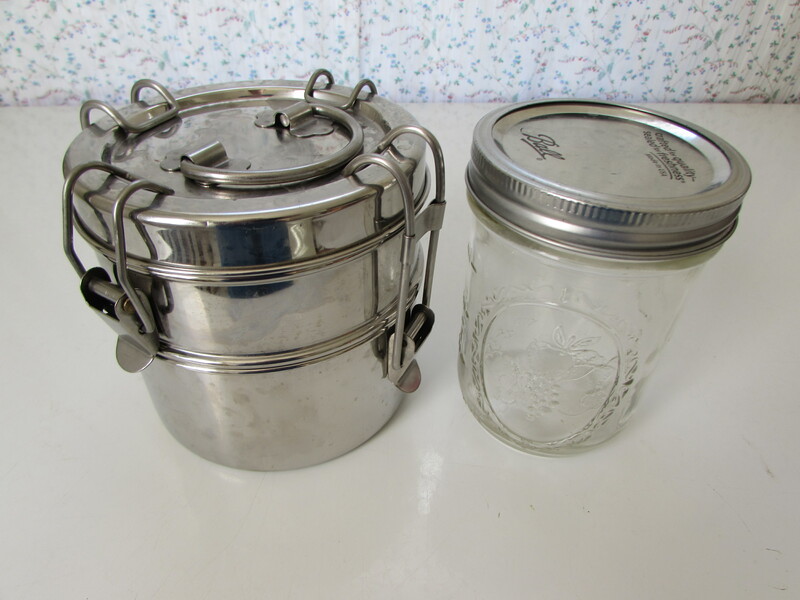 The one I have is from Klean Kanteen, but a jar will work just as well if you aren’t looking to spend too much. I’m in love with my two tiered tiffin from To-Go Ware. I take it with me everywhere just in case I want to get some food to go or take left overs home. It isn’t 100% water proof, so when get something like soup I tend to put it into a mason jar instead. 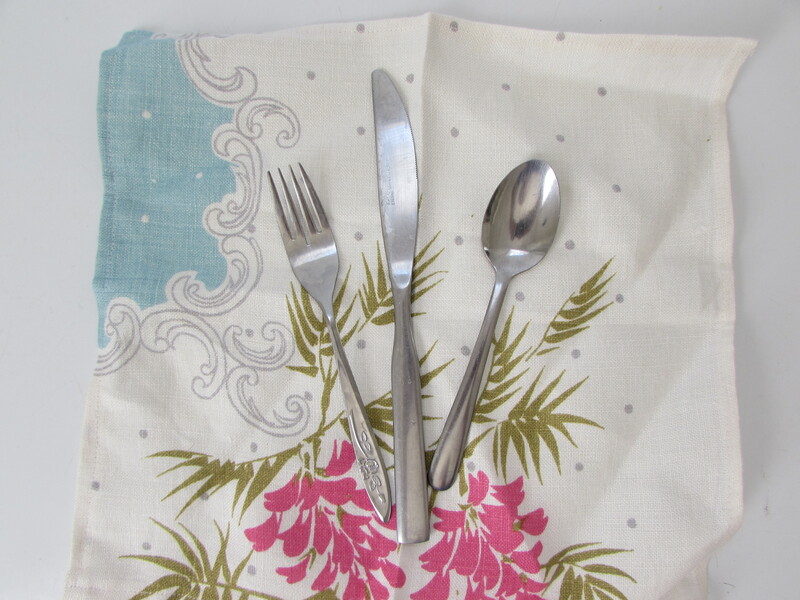 I always have a cloth napkin with me, and often I have more than one with me just in case. These work so well for cleaning up the occasional spill, using while eating a meal, or even using as a tissue (I know it might seem gross, but it’s pretty easy to keep multiple small napkins with you. I just use one once and then throw it into a small bag so I can take it home and throw it into the dirty laundry.) Plus cloth can be so cute! I get most of my napkins here. For the longest time I simply used the metal utensils I already had in my kitchen when I went out. To keep them clean and out of the way, I would wrap them up into a napkin before throwing them into my bag. 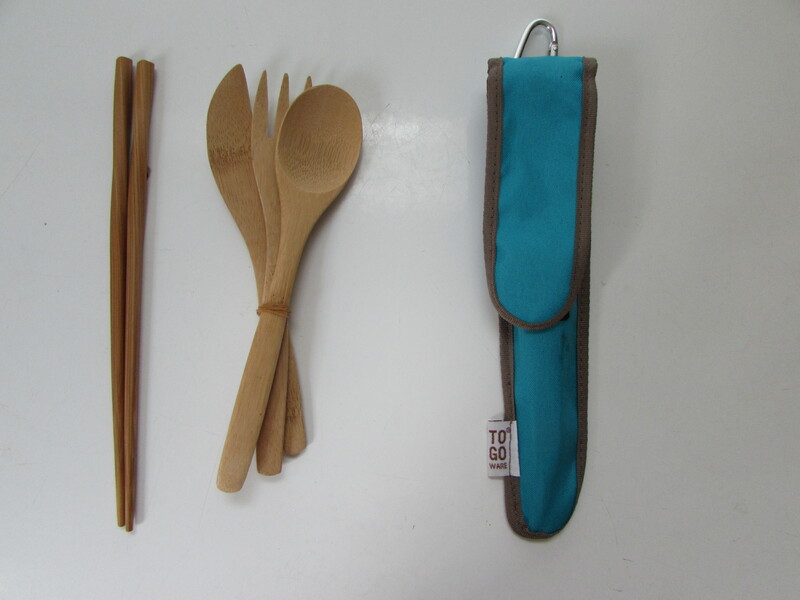 Recently, I took the plunge and bought some bamboo utensils that came in a handy carrying case. They are now my new go-to utensils because they are lightweight and easy to use. You can purchase them here. My final item isn’t what I would call an essential, but it is something I enjoy having around and something I use quite often. I have both metal and glass straws (there are also compostable versions out there). I usually only use the glass in my house, because I am terrified that I am going to forget them in my bag and break them. A reusable straw makes any drink stylish. Plus you can buy an easy to use cleaning brush to make washing them out a breeze. 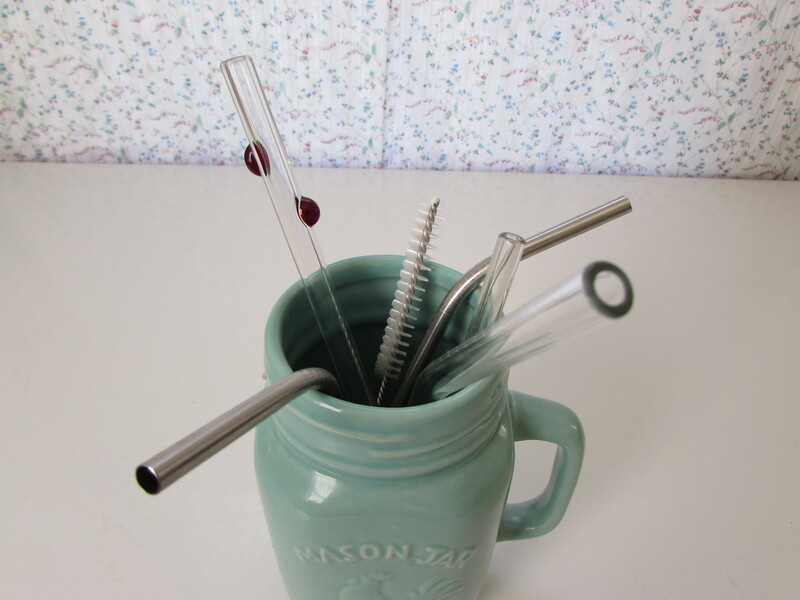 If you’d like to check out glass straws you can click here, or to check out the metal straws click here.